The girls are going out for lunch! If you are college aged girl (you don’t have to be attending school) feel free to join us! 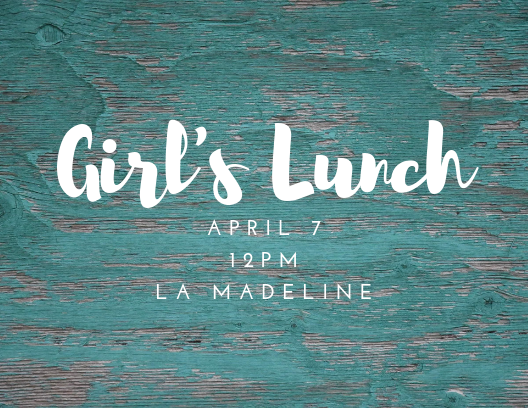 We’ll be at La Madeline on Campbell rd. at 12PM on Sunday, April 7.